• Use Show menu options to switch between previews of the original and extracted images. 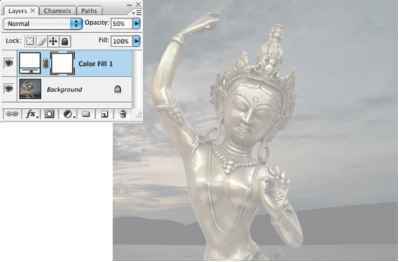 • Use Display menu options to preview the extracted object against a colored matte background or as a grayscale mask. To display a transparent background, choose None. • Select Show Highlight or Show Fill to display the object's highlight or fill. • To perform another extraction after adjusting the highlight and fill, repeat steps 5, 6, and 7. • To perform another extraction with new extraction settings, change the Smooth, Force Foreground, or Color settings, and repeat step 7. Note: To specify the amount of smoothing of the extracted object, drag the Smooth slider or enter a value. It is usually best to begin with a zero or small value to avoid unwanted blurring of details. If there are sharp artifacts in the extraction result, you can increase the Smooth value to help remove them in the next extraction. 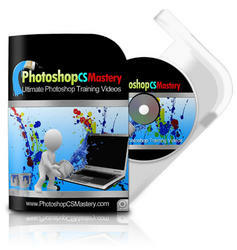 • To erase background traces in the extracted area, use the cleanup tool R.- . The tool subtracts opacity and has a cumulative effect. You can also use the cleanup tool to fill gaps in the extracted object. Hold down Alt (Windows) or Option (Mac OS) while dragging to add back opacity. • To edit the edge of the extracted object, use the edge touchup tool . The tool sharpens edges and has a cumulative effect. If there is no clear edge, the edge touchup tool adds opacity to the object or subtracts opacity from the background. 10 Click OK to apply the final extraction. On the layer, all pixels outside the extracted object are erased to transparency.